Your customers depend on you to attract attention to their businesses and brands. There are many ways to draw attention to your business signage. Many of the traditional ways - from neon, to harsh fluorescent tubes behind perspex, to bright red and blinking LED matrix displays - come across as cheap, tacky, and in many cases, straight up unprofessional. 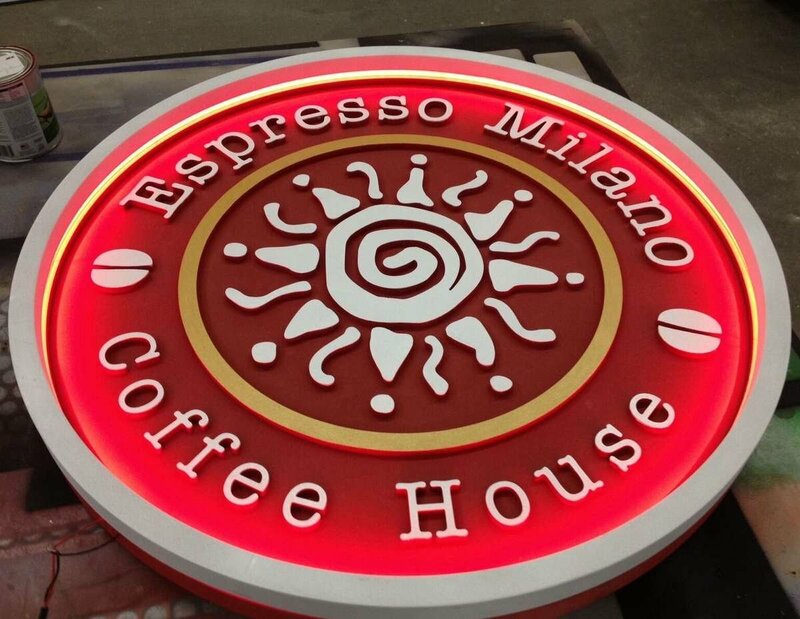 For high end experiences for high end clients, a back lit logo or shape can be a classy - and surprisingly simple signage solution. It starts with a sheet of metal, wood, or other material, cut into shape. This is installed, offset by a few inches, onto a wall or other surface, with LED lighting installed behind the sign, facing away towards the surface. 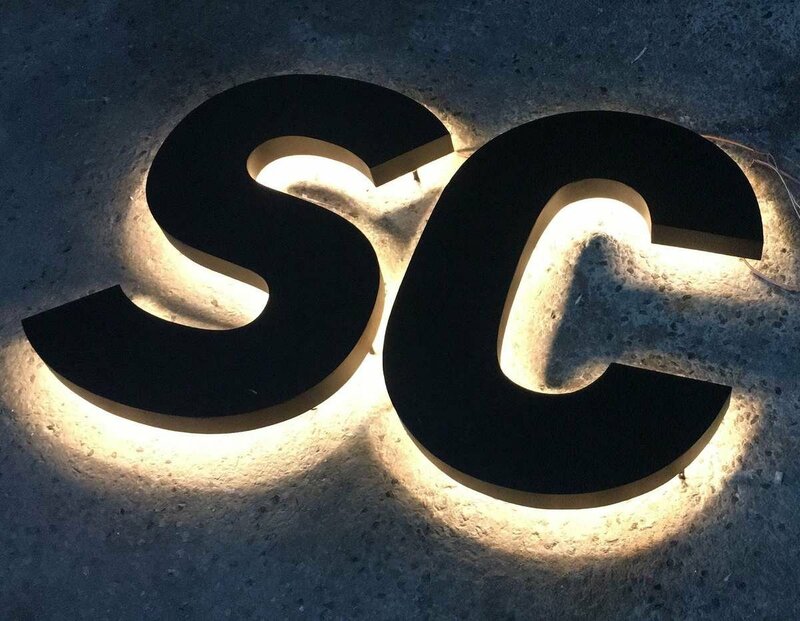 The contrast between the bright, glowing background and the darker logo silhouette catches they eye while avoiding some of the above pitfalls associated with traditional lighted signage. Our WAVE strips or LED light modules are ideal for tricky shapes or bends you might need to use. Your clients spend a lot of time and money developing a specific brand image and associated graphics. Can you afford to deliver signage lit in plain red when crimson was requested? With HitLights RGB products, you have 100% color control at your fingertips. Use our range of RGB controllers to choose the right colors for your clients - or arm them with the tools they need to select the right color for their signage based on need or whim. If you're looking for both color changing and white, then RGBW might be what you need. It combines Red, Green, and Blue with a high CRI white - all in the same chip for even and consistent color. Not sure which is best for you? Get in touch with our HitLights experts and we'll help you make the right decision for your business needs!